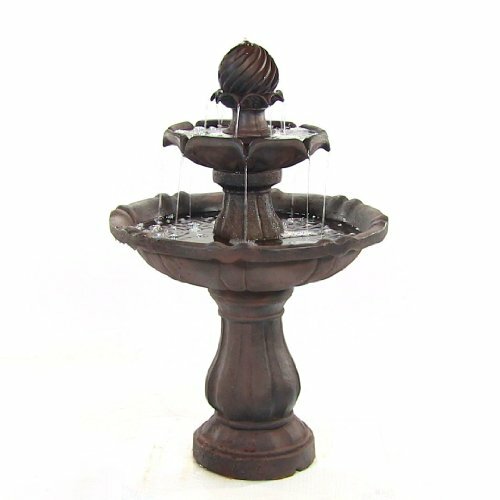 House keeping market > Products > Lawn Mowers & Outdoor Power Tools > Fountains > Decorative garden centerpiece birdbath Two Tier Solar On Demand Fountain (Rust) With battery backup with New Dry Run Protection Pump Technology, if the fountain runs low on water the pump will automatically shut off to save the life of your pump. 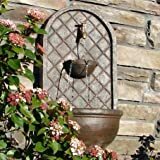 Decorative garden centerpiece birdbath Two Tier Solar On Demand Fountain (Rust) With battery backup with New Dry Run Protection Pump Technology, if the fountain runs low on water the pump will automatically shut off to save the life of your pump. Durable Resin to withstand any weather conditions. 1 Year Manufacturer's Warranty. 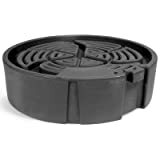 Includes solar panel and pump and stake to secure solar panel to ground. Cord length from the solar panel to solar pump is 14'.